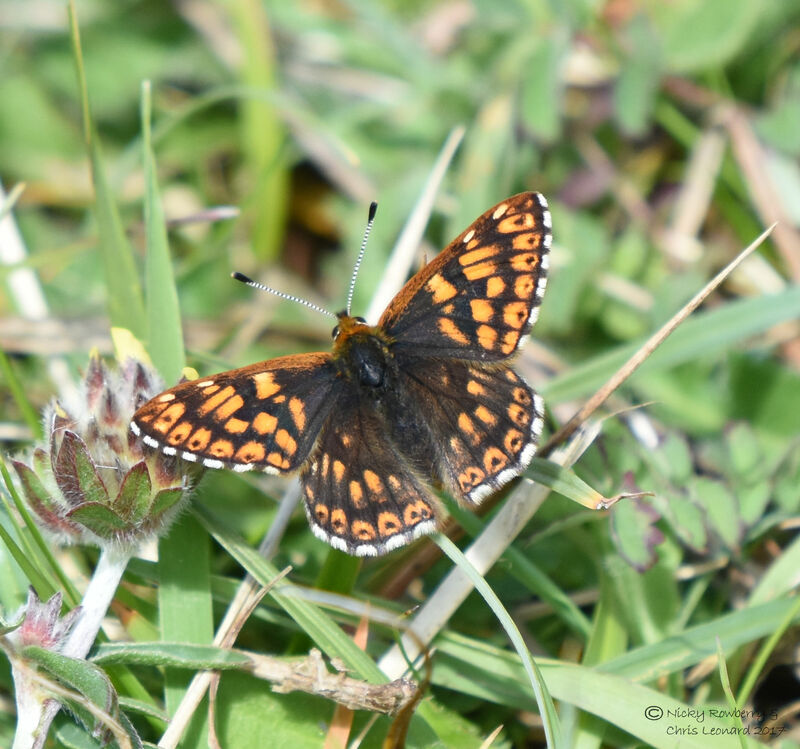 Flushed with the success of finding the Grizzled Skipper the previous weekend, we headed out again on Sunday in search of our next target butterfly – the grandly named Duke Of Burgundy. 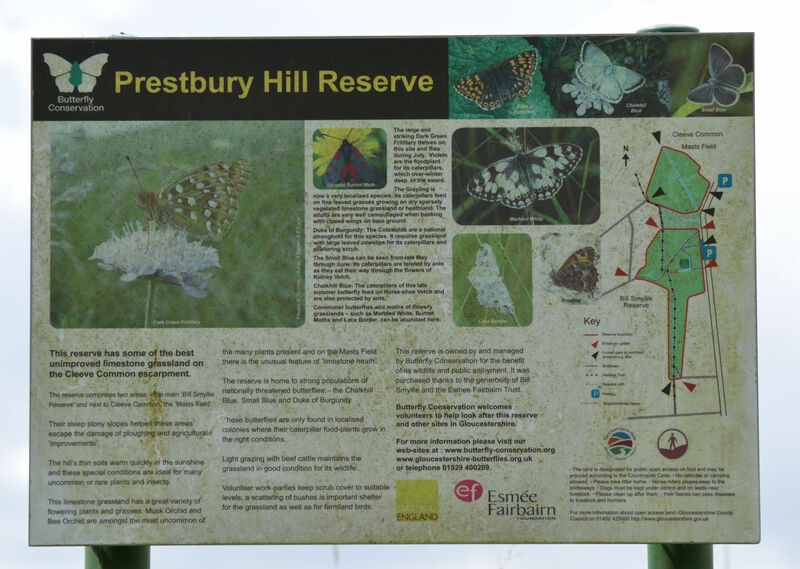 The nearest place we could find with a colony of Dukes was Prestbury Hill near Cheltenham – a fantastic site that we’d already visited at other times of the year. 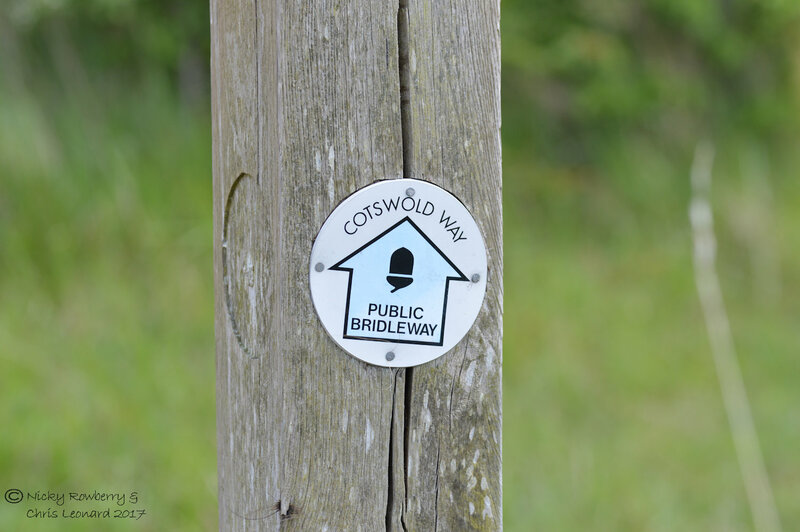 Prestbury Hill reserve consists of 2 areas joined by a section of the Cotswold Way. We started off at the top of Masts Field which has amazing views out over Cheltenham and for miles around. It also has a convenient bench near the top for lunch. 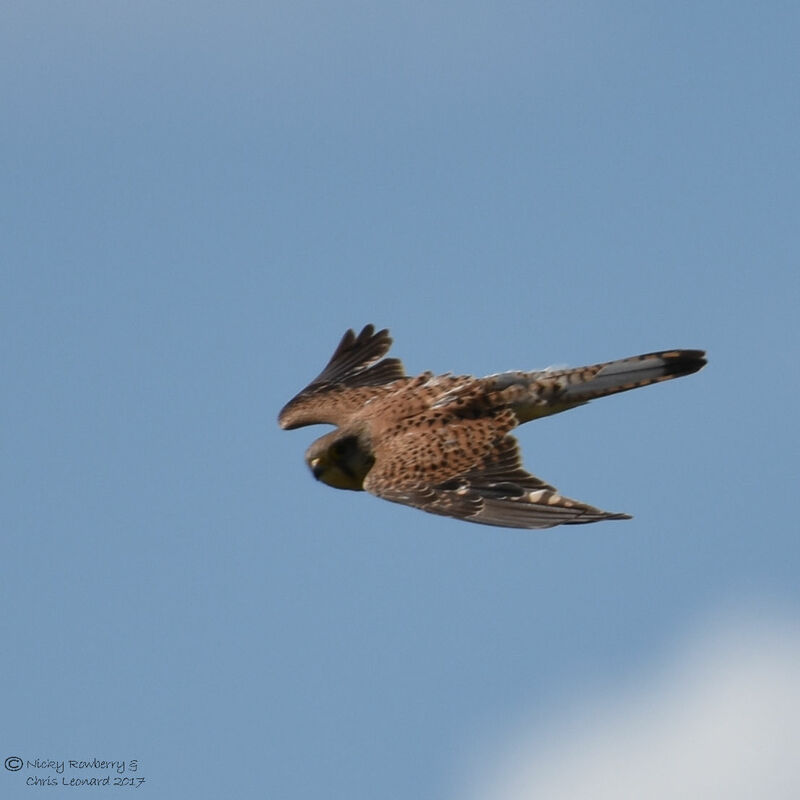 While we were sitting there, a pair of kestrels were hovering almost at eye level in front of us. 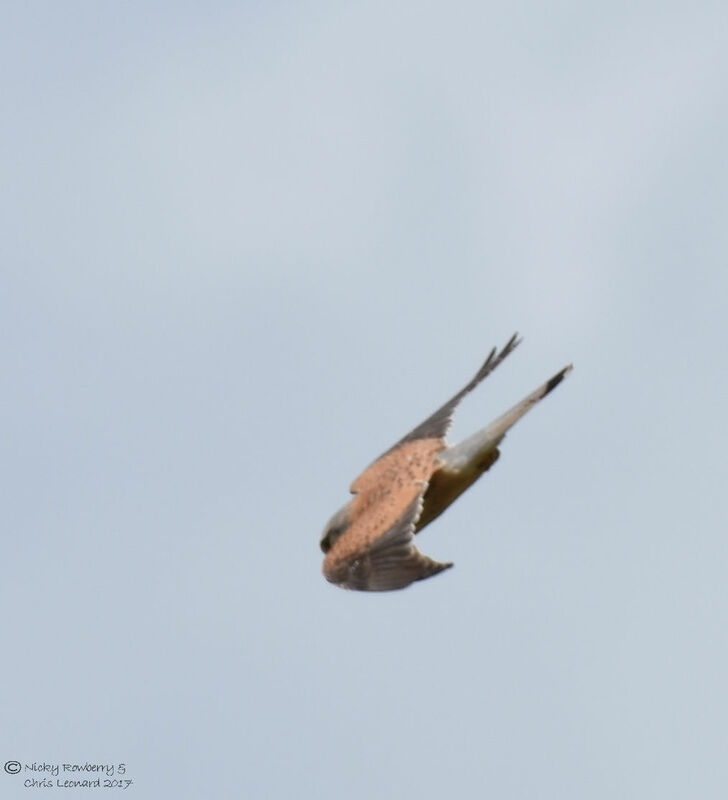 Although they were more or less stationary in the air, they were still really difficult to get decent shots of, even though the one seemed to be staring right back at us. His Grace (I’ve googled the proper term for addressing a duke!) is small but perfectly formed, with lovely stripy antennae and pretty orange and brown/black patterned wings. The males are territorial and like to display themselves on prominent leaves or grasses. 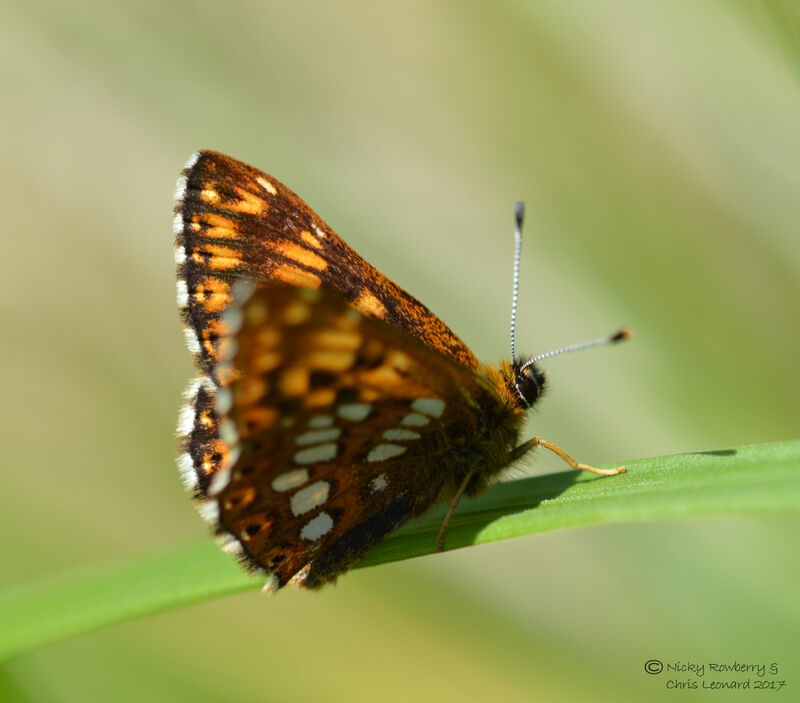 The Duke of Burgundy is really unusual in that the female has 6 legs, but the male only has 4. So I reckon the one in the photo below must be a male – showing off! 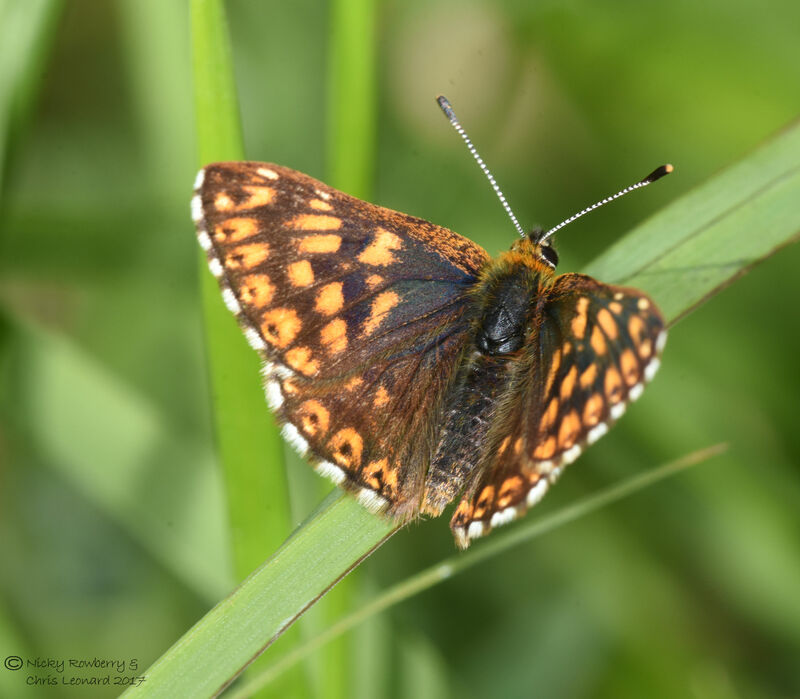 Although we saw quite a few Dukes on the day, I didn’t know at the time about counting the legs, so don’t know if any of our Dukes were actually Duchesses! 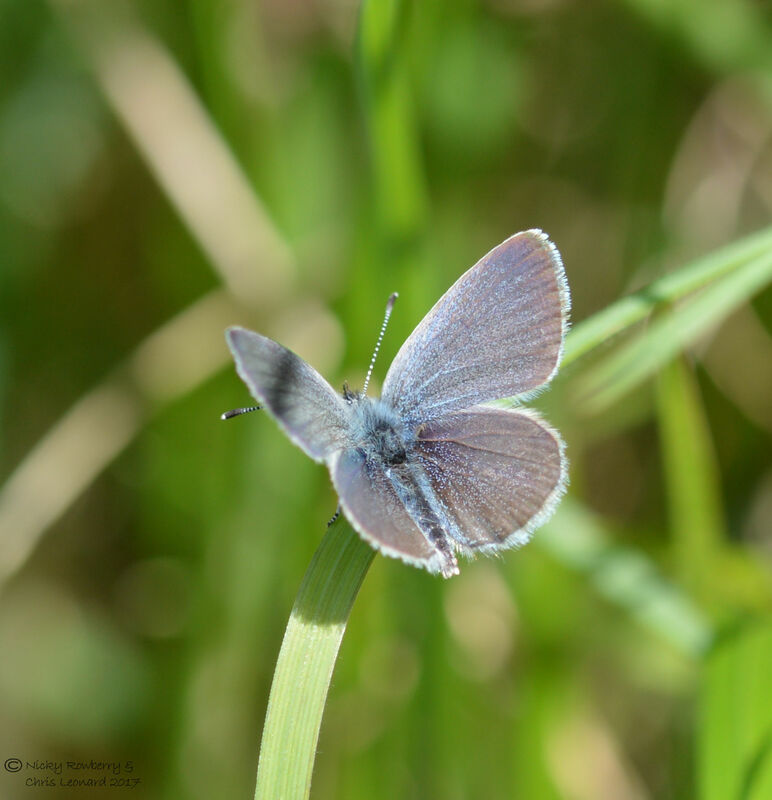 The other butterfly we’d hoped to see at Prestbury on this visit was the Small Blue. I had glimpsed one once before, so it wasn’t a new one for the list, but we wanted to get a proper look. Again we were lucky and there were plenty of Small Blues around. 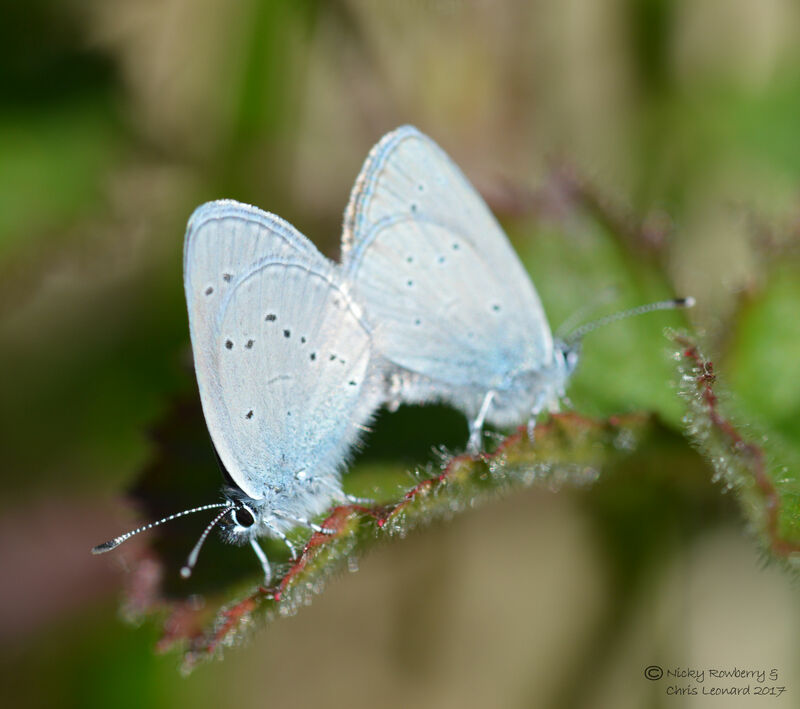 They really are what it says on the tin – small and blue! 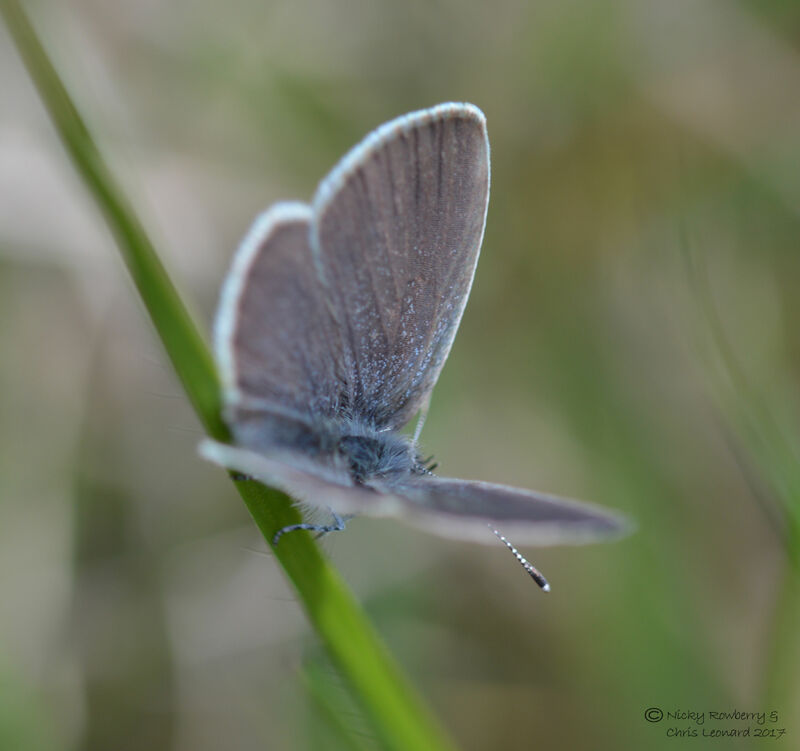 They are Britain’s smallest species of butterfly and are absolutely tiny. Once we got our eye in though, we found loads at Prestbury. They’ve got a beautiful dusting of pale blue scales on the upperside of the wings, while the underside is almost all blue with a few black spots. 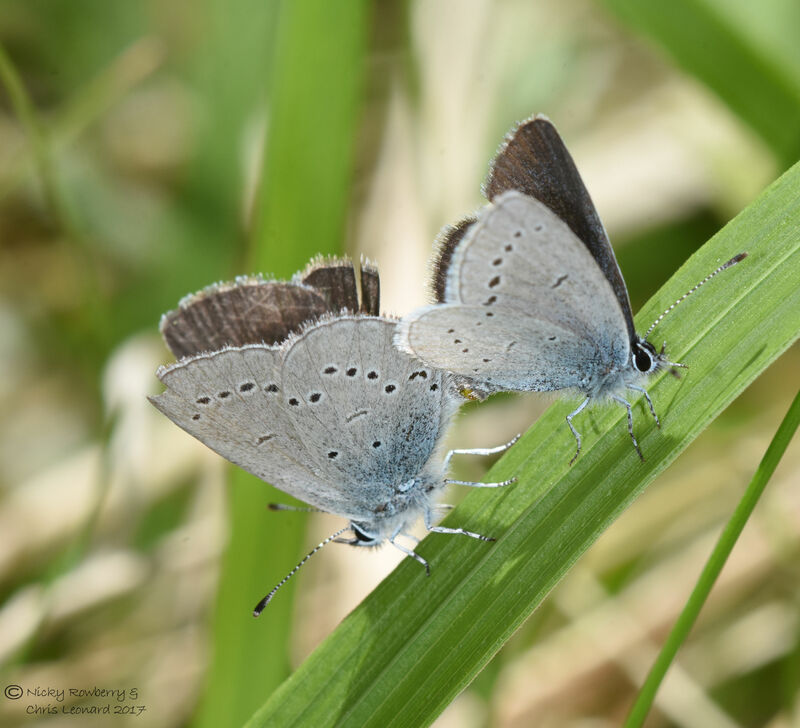 We even found a few pairs mating (so unlike the Dukes we can at least be sure we were seeing males and females!) 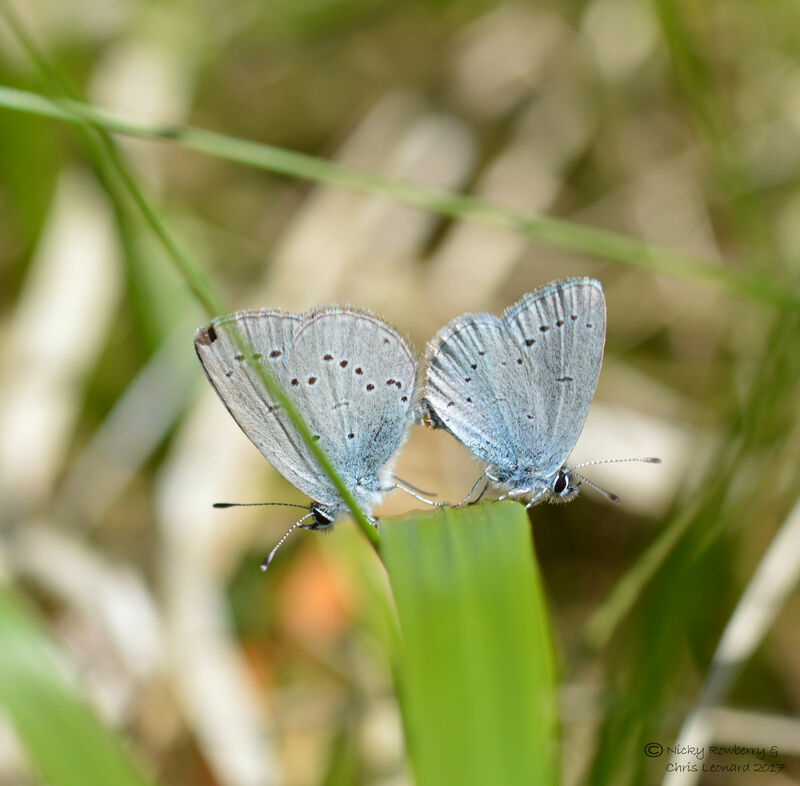 The only trouble with them being so small and so shiny blue on the underside is that it makes it really difficult to photograph them – especially with the inevitable bits of grass blowing across the shot! 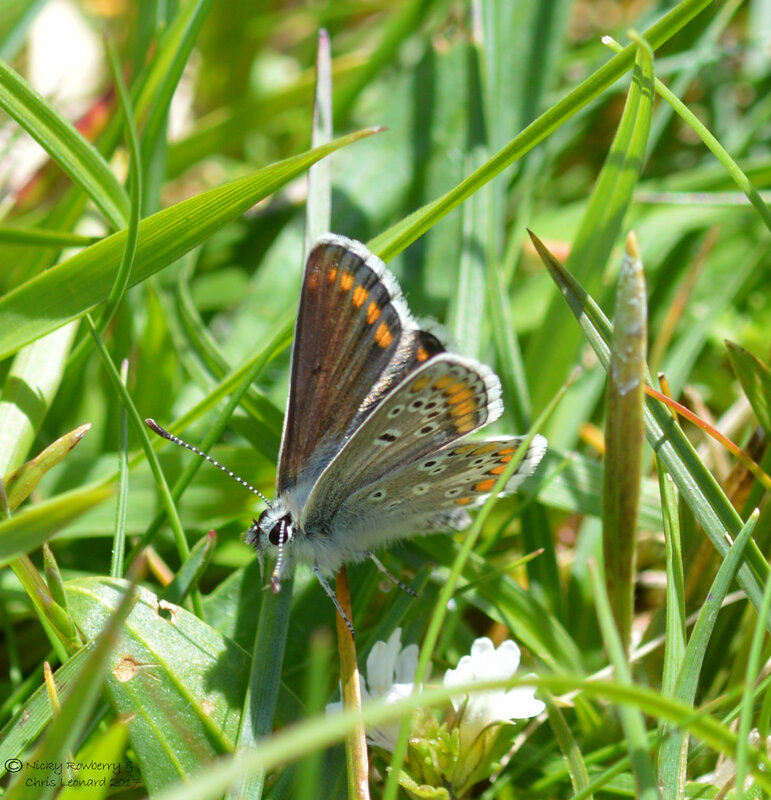 Prestbury is great for butterflies of lots of species so it was really nice to spot this Brown Argus and a lot of Dingy Skippers. 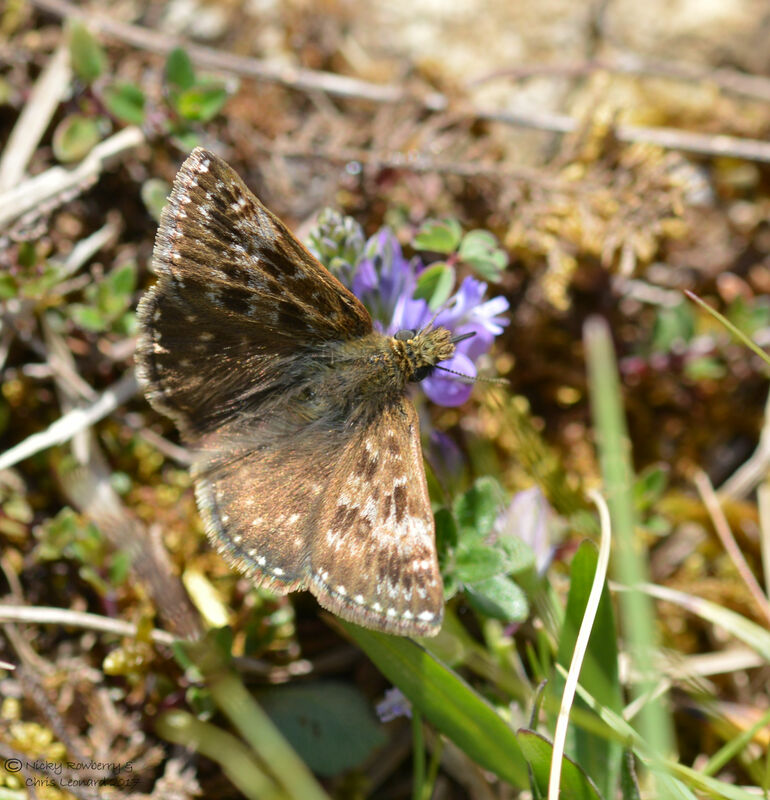 I do feel sorry for the Dingy Skippers with their lowly sounding name next to the Duke of Burgundy! 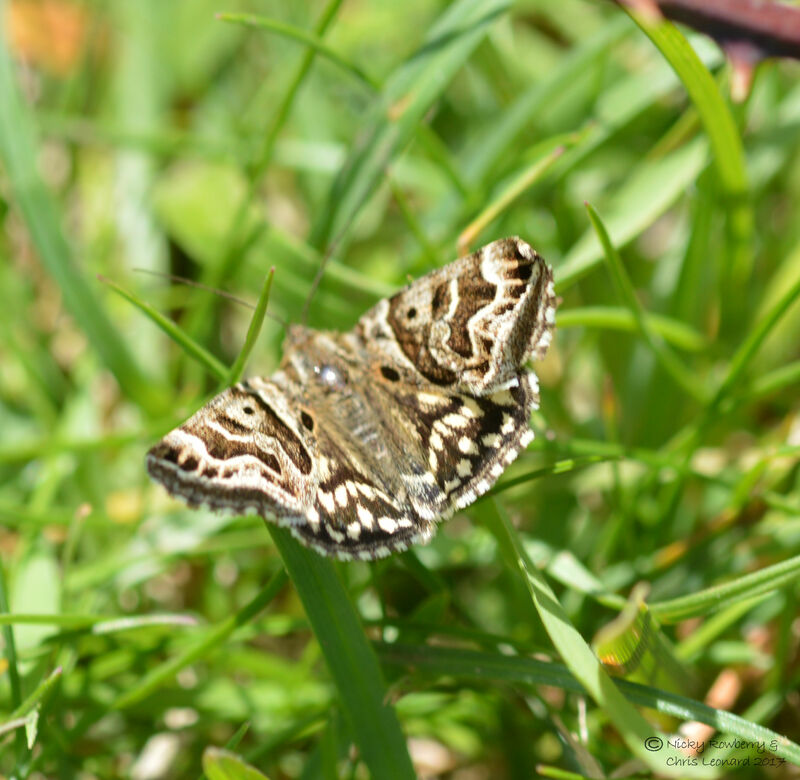 I also couldn’t resist taking photos of one of my favourite moths – the Mother Shipton. I do at least know the origins of this name – the moth is named after a 16th century Yorkshire witch because its marking are supposed to resemble her with an eye and hooked nose and chin! And finally Spring was clearly in the air for these beetles. 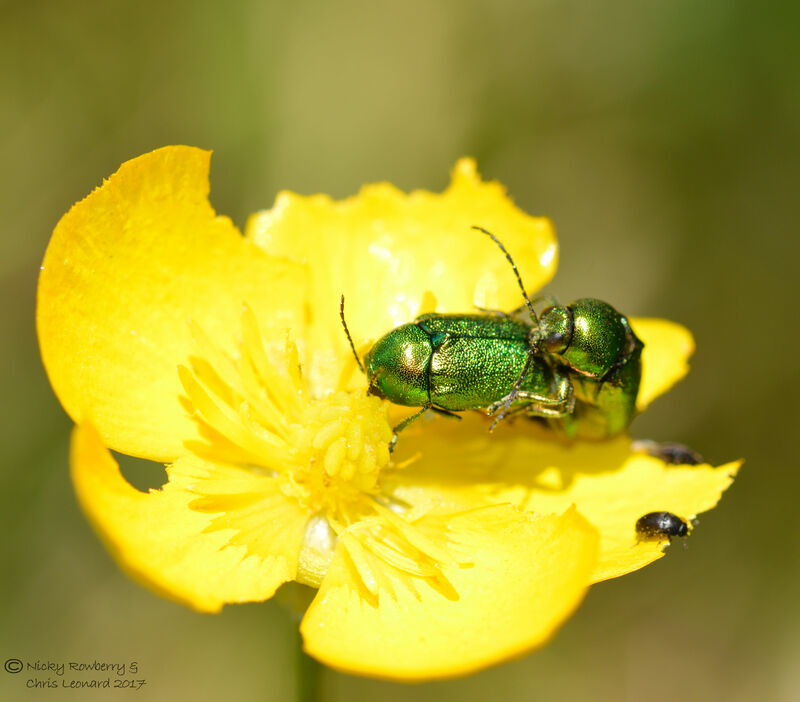 I’ve no idea what they are, but they looked so shiny and green against the yellow buttercup, I just couldn’t resist. Fabulous photos as always. I never have much luck with butterflies. Aw thanks. You should see how many really rubbish photos we take though – thank god for the delete button on digital! 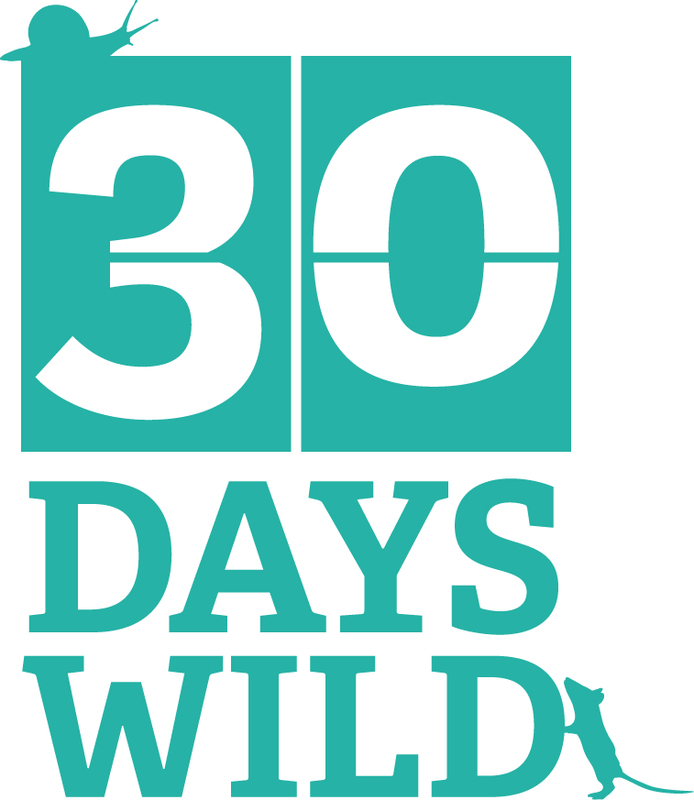 Ha – you’ll have to find an excuse to visit your friends in the next month or so! 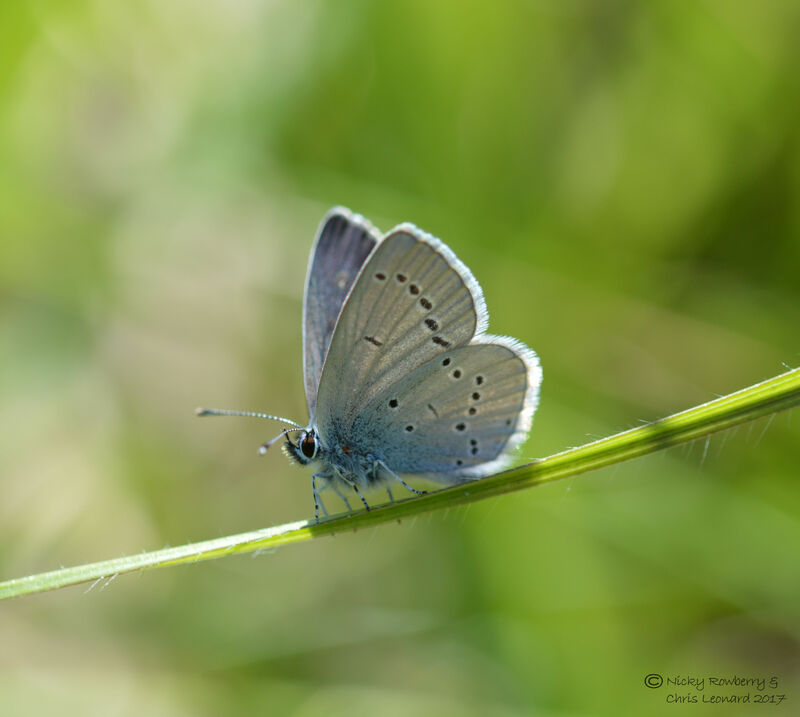 Both the small blue and Duke are such lovely butterflies, it is well worth it. Glad you liked our pictures. that 1 after lucky you was mean to be an exclamation – sorry !